They may be the most well-known faces in the world, but their wedding style leaves much to be desired. Here are the 80s & 90s wedding trends we hate… as told by celebrities. Its only fitting to begin a critique of 80s & 90s weddings with a glimpse at the most iconic wedding dress style for the decades- the Puffball Wedding Dress. 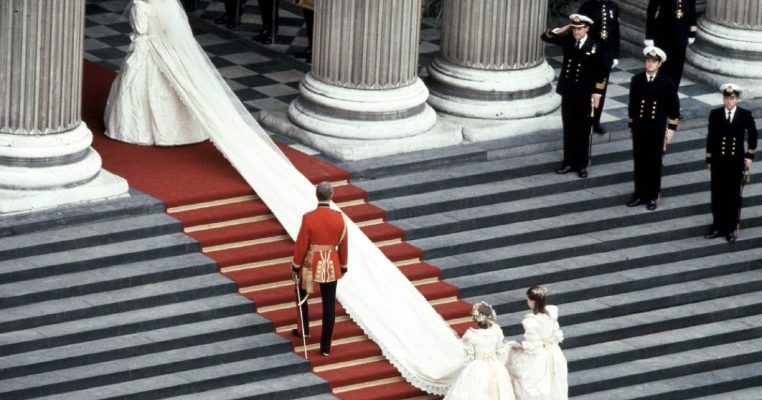 When you think of the era, you think Puffball and more than likely you think of THE Puffball of all-time- Princess Diana’s 1981 gown. 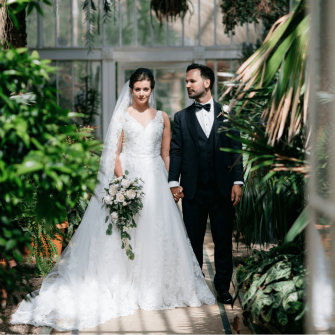 This dress continues to be the talk of the town when it comes to bridal style, and with a puffed collar, puffed sleeves, puffed skirt and even a puffed veil (which is the wrong shade of white we must add…) it really is the best example of the style. We even have to admire Diana’s commitment to the look as her 80s bridal bouquet is completely on-trend too. Walking into a Granny’s house in the 80s was like an explosion into lacy curtains and floral fabrics- heck, it still is! 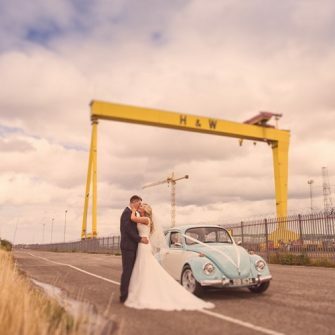 But that’s alright for them… not for wedding dresses! The 80s saw brides go for curtain-inspired frocks complete with frilly lace and layers. Elizabeth Taylor even took it a step further in 1991 by donning a dress of a rather bright yellow hue… Can’t say its a style we’d like to see back anytime soon! Delicate flower bouquets were NOT the done thing in the 90s, as demonstrated by Mariah Carey at her first wedding in 1993. The theory behind the bouquet was simple… Go into the garden, dig up a bush, carry it down the aisle. The bigger the better! Celine Dion was already the name on everybody’s lips when she wed her manager in 1994, who was 26 years her senior, but then she made headlines again by wedding in a seriously eye-catching headpiece. The theme of the era was extravagance and Celine certainly adhered to that. 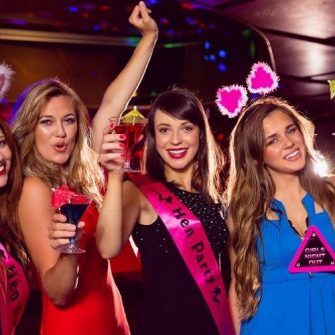 Whether it was BIG hair or BIG headpieces, the 80s & 90s were all about excess. 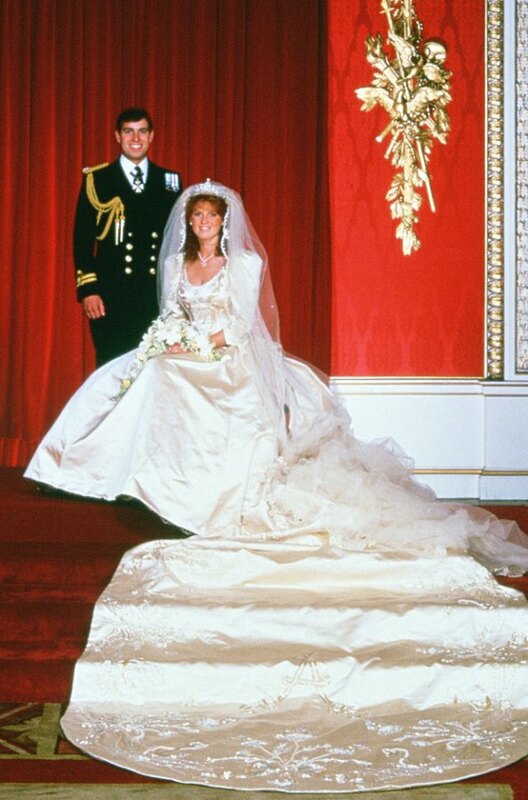 It may not have ended well for dear Fergie, but at least she knows her wedding dress style from the 1986 Royal Wedding to Prince Andrew will go down in history. Brides in the 80s loved a long train and the Duchess of York was no exception. 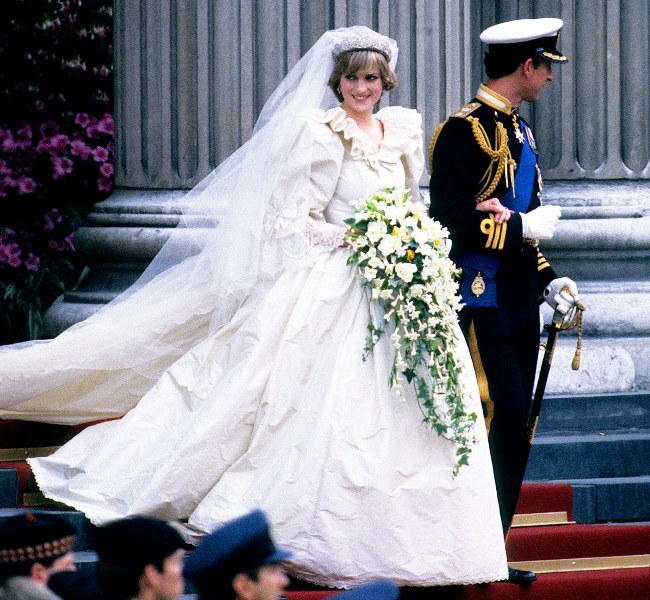 With metres of satin floating around her accompanied by a tulle veil she looked the part, and even dabbled with the puffball sleeves favoured by her former sister-in-law Princess Di. There’s a special place in our ‘wedding trend hates’ box for the unexplainable… where we must place Emma Thompson’s wedding dress from her 1989 wedding to Kenneth Branagh. We aren’t sure what was going through Emma’s mind when she donned this short, colourful number but it doesn’t exactly scream bridal to us! If anything, it speaks volumes for the fashion fabric choices of the decade and firmly belongs in the past. 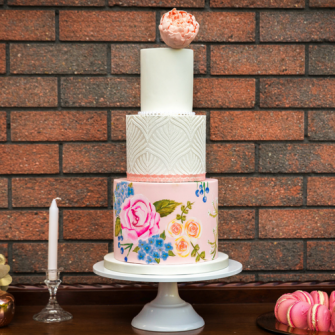 Comment below and tell us your most hated wedding trends from the 80s or 90s!